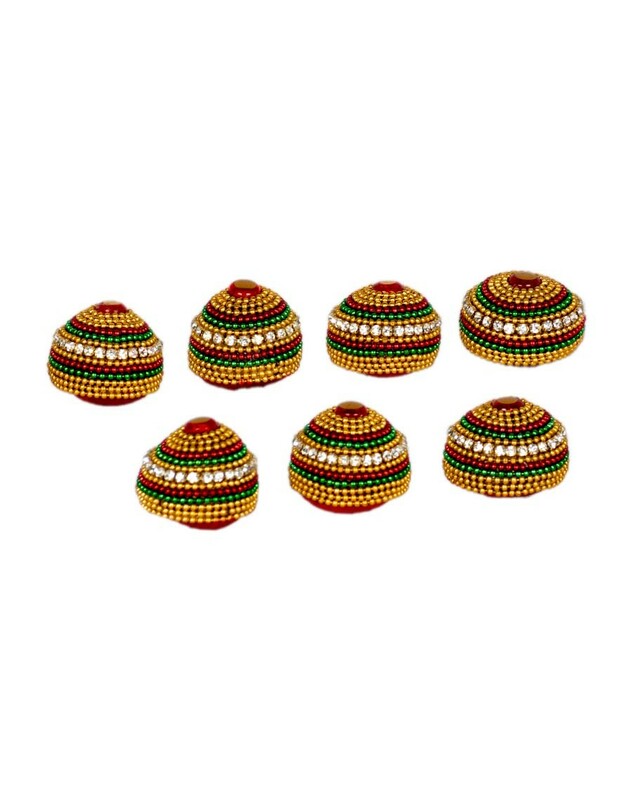 This is set of beautifully decorated seven betel nuts packed in a plastic box. It is used in wedding ceremony. One of the most important ritual in a Hindu wedding is the Saptapadi where the groom and bride take seven steps around holy fire that denotes the seven vows they take for the wedding. 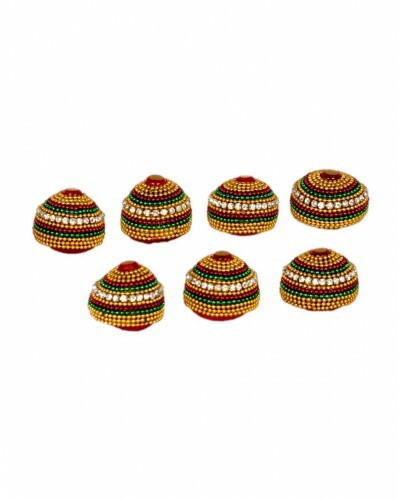 During this ceremony, the bride has to touch beetle nuts also called as suparis. The suparis that are uniquely decorated with bead like pattern will add colour and glamour to the wedding rituals.